How lovely it is to be able to stroll along Hong Kong's busiest streets to find new perspectives on Saturday. 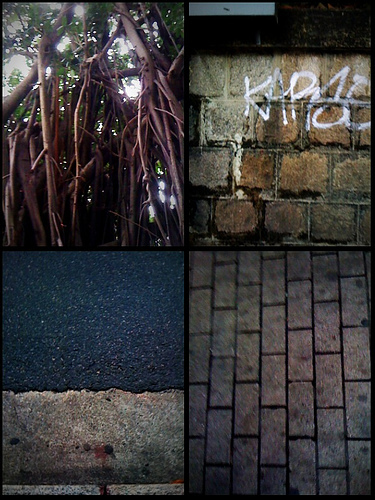 With Quad Camera for iPhone, I was able to compose views of the place I grew up in fresh angles. There is a magic to frame several photos into one piece. A typical street scene became so different. 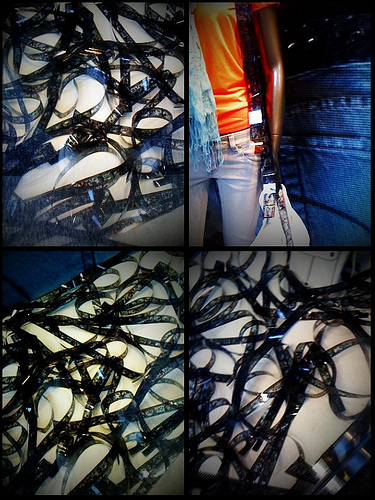 A nice visual merchandising display with film strips inside Sogo's window. 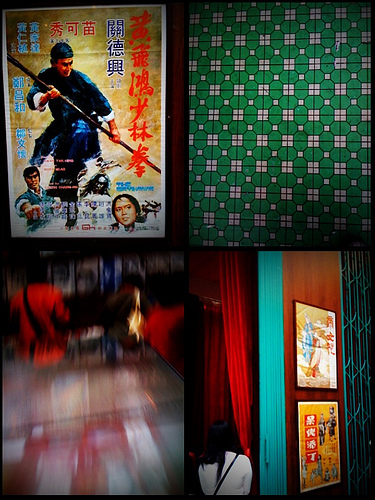 A nostalgic visit to Hong Kong Film 100 Years Anniversary exhibition in Times Square. All this Saturday's stroll has something to do with films. There is something about life in a busy city, you can only get a peace of mind when you start to look and listen, from the most ordinary things to what other people are doing. I would love to travel through time inside my mind to see changes throughout history, will I get sad or will I be enthusiastic about life if I can do that? 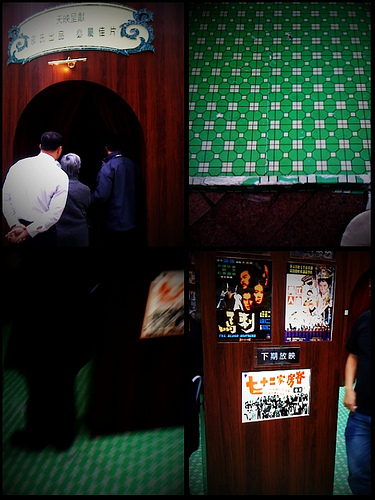 Senior citizens were sitting in the old movie theatre installation to look at old films, remembering old times, contemplating how this world has changed in their life time. Imagine I can do the same thing by time traveling to look at history's very own theatre, what will I feel? Well, I'm thinking too much and I should just get to bed and make my own dream time traveling. Oh BTW, an afternoon nap today took me to Japan traveling to unknown places meeting new people, it was a great dream of discovery. I met a friendly family inside their travel goods store and got some nice shampoo and help about visiting places in that area. Their faces are still very vivid and I'm sure I've never met them in my own life time. If I can bring a photo of them from my dream to this world, maybe somebody can find out who they are. OK, I'm heading to my dream world right away, great adventures within. Raising boys, yes we all need a little help to help him find himself. Just a few chapters read I knew this book was right for us.